Leadbeater, Mary, an Irish authoress, was born at Ballitore, in 1758. Her father, Richard Shackleton, kept a boarding-school, which had been established in that village in the year 1726 by his father, Abraham Shackleton, a member of the Society of Friends, a learned and good man from whom Edmund Burke received his education. Richard was educated at College, equalled his father in learning, and wrote with facility in several languages. Mary inherited her father's genius. In 1791 she married William Leadbeater, a descendant of the Huguenot refugee family LeBatre. He was a farmer and landowner, and Mary kept the village post-office. Her first essay in authorship was Extracts and Original Anecdotes for the Improvement of Youth, 1794. In 1798 she experienced the horrors of the insurrection, in the sack of Ballitore by the royal troops, and the murder of many of her neighbours and friends. Her Poems, published in 1808. were but of local and transitory interest. The first Series of her Cottage Dialogues of the Irish Peasantry appeared in 1811; the second in 1813; the third after her death. "In these dialogues, with a felicity of language rarely equalled by any writer previous to her time, she has painted the virtues and the failings, the joys and the sorrows, the feelings and the prejudices, of our impulsive and quick-witted countrymen. This is the work by which Mary Leadbeater is chiefly known; and its utility has been fully proved by the approbation of all who were at that time interested in the welfare of the Irish poor." Besides publications of a kindred character, and Biographical Notices of Irish Friends, she wrote poems, essays, characters, and tales, which found their way into various periodicals. The last work she lived to publish was The Pedlars, a tale, for the Kildare-place Society. Amongst her numerous correspondents were the poet Crabbe and Mrs. Trench, mother of Archbishop Trench. Besides keeping a private journal from her eleventh year, she wrote the Annals of Ballitore, extending from 1766 to 1824. 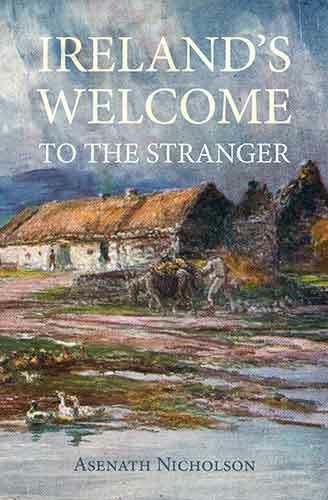 They give a faithful picture of an Irish Quaker village one hundred years ago, tell of the terrible year of the Rebellion, and portray the small but cultivated circle of which she was the ornament. This work was published in 1862 in the Leadbeater Papers — the first volume of which comprised the Annals, the second Richard Shackleton's correspondence with Edmund Burke, and a portion of Mrs. Leadbeater's with Crabbe and Mrs. Trench. Her Annals were continued by her niece Elizabeth Shackleton in Ballitore Seventy Years Ago, published in 1862. Mrs. Leadbeater died 27th June 1826, aged about 68, and was buried at Ballitore. Gerald Griffin's friend, Mrs. Fisher, is her daughter. Leadbeater, Mary — Mrs. Trench, in a letter dated August 1826, speaks of Mrs. Leadbeater's "delicate feelings, highly refined, yet never degenerating into susceptibility, or exacting from others those attentions she never failed to bestow herself; her taste for everything that was admirable in nature and art; her polished mind and manner, which seemed instinctively to reject all that others are taught to avoid; her quick sense of wit and humour, and her own unaffected pleasantry; her entire absence of all self-comparison with any human being, which left her capable of doing complete justice to the merits of all; her rare suavity, and her uncommon talents." 211. Leadbeater Papers: Annals of Ballytore, by Mary Leadbeater: Memoir of Author: Letters of Burke, Mrs. R. Trench, George Crabbe. 2 vols. London, 1862.